South Dakota is the most prestigious and renowned city of Deadwood west side of the border, where 1200 people of barely are carrying tradition of card room from many years. It is well known tourist attraction because famous Wild Bill Hickok found dead while holding his cards (Aces and eight). Nowadays, if you possess this card combination then you can proudly name it Dead Man’s Hand. It is a tribute to the great man for remembering his style and skills. Poker is the game that has deep roots into the South Dakota’s history but lawmakers are not interested in making online poker legal in the South Dakota. Authorities are very strict against the online gambling and that is why they have banned the online gambling which includes online poker. Lawmakers of South Dakota are under consistent pressure of protectionist for casino industry that is lead by Indian casinos. They are trying very hard for making online casinos legal with their 100% efforts. If South Dakota authorities make online poker legal then many tribes and local people will definitely welcome this facility. Indian tribes are looking forward to carry on their traditions but they are not well aware of how they will play and provide online poker. It is very sure that tribes and legislators will consider their option very soon. South Dakota has enjoyed $16.6 millions in terms of taxes from casinos and if they make online poker legal then they can enjoy increased revenue, significantly. But at present it is the smallest casino market in the entire United States. There are many ways that Indian tribes can opt for making online poker legal as many Indians are enjoying legal online gambling in the others states of country. There is special provision for Indian tribes that they can enjoy casino games as their heritage. The tribes are trying their level best for making online poker legal in the state by following the path of Oklahoma tribes. They are making very hard efforts for settling the terms and conditions with government, so they can provide online poker legally to the international market. There is another way that casinos should show the profits that state can earn by legalizing the online poker. 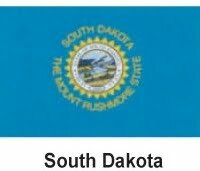 It is beneficial deal for the people of South Dakota because more than 1600 people are working in casinos. It is very clear that lawmakers are not making any efforts for legalizing the online poker legal. Formally, there is no bill offered in the Senate that is in favor of legalizing online poker. Poker is popular sport in South Dakota and that gives hope that in future people might be able to play online poker without any problem. As per stats of American Gaming Association, implementing the online poker won’t cost anything to the local casinos but if they legalize the online poker then it can affect the general player numbers in casinos. When Will I Play Online Poker in South Dakota? It seems that people of South Dakota have to wait for 2015 for enjoying online poker service. There is only one way to legalizing the online poker and that is making a separate online poker bill for reducing the discussion and implementing it quickly.